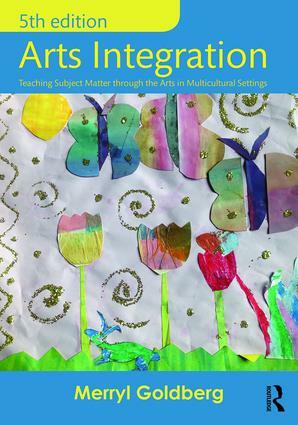 Practical and engaging, Merryl Goldberg’s popular guide to integrating the arts throughout the K-12 curriculum blends contemporary theory with classroom practice. Beyond teaching about the arts as a subject in and of itself, the text explains how teachers may integrate the arts—literary, media, visual, and performing—throughout subject area curriculum and provides a multitude of strategies and examples. Promoting ways to develop children's creativity and critical thinking while also developing communications skills and fostering collaborative opportunities, it looks at assessment and the arts, engaging English Language Learners, and using the arts to teach academic skills. This text is ideal as a primer on arts integration and a foundational support for teaching, learning, and assessment, especially within the context of multicultural and multilingual classrooms. In-depth discussions of the role of arts integration in meeting the goals of Title I programs, including academic achievement, student engagement, school climate and parental involvement, are woven throughout the text, as is the role of the arts in meeting state and federal student achievement standards.